Hiking Boy Musical Figurine - 2399 Discounts Apply ! 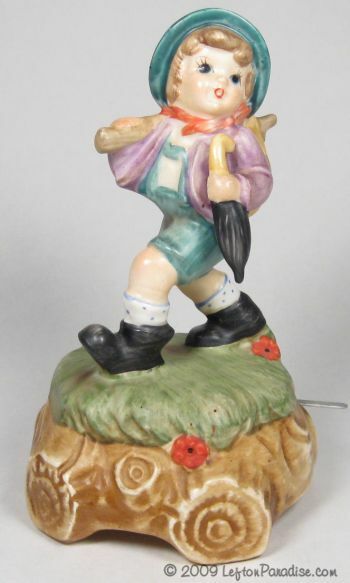 This flawless musical figurine depicts a boy hiking along, carrying an umbrella and his bundle on a staff over his shoulder. The design of the figure is in the Hummel style. The music box plays "Whistle a Happy Tune". The figure stands 6¼ inches tall, has a Lefton crown logo and is marked 2399.